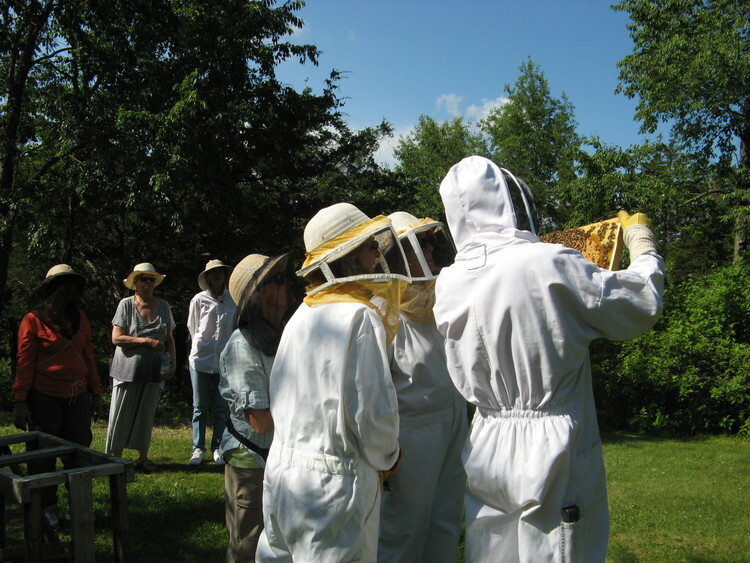 On June 26, 2015, Metro Area MNWWN member Debra Donath, along with husband Kent, hosted us to learn about honey bees. 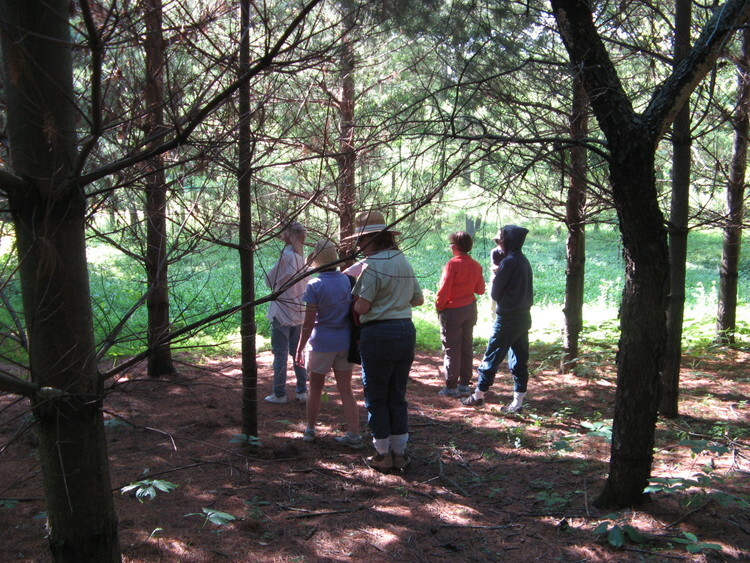 We were also able to tour her 23-acre property near Welch to learn about their land management practices involving tree planting of white pine, oak, and walnut and their two prairie restoration sites. Introductions with Deb and Kent Donath, landowners. 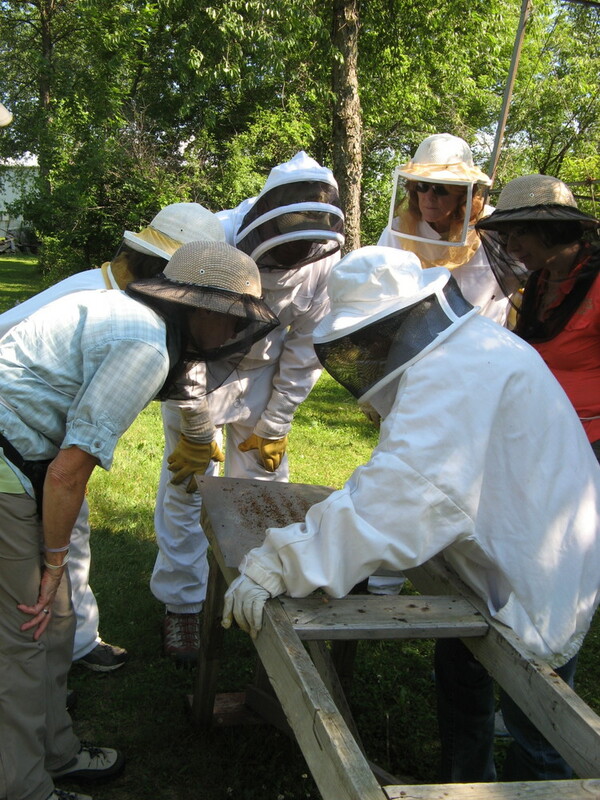 Deb showing us how to build a honey bee hive. 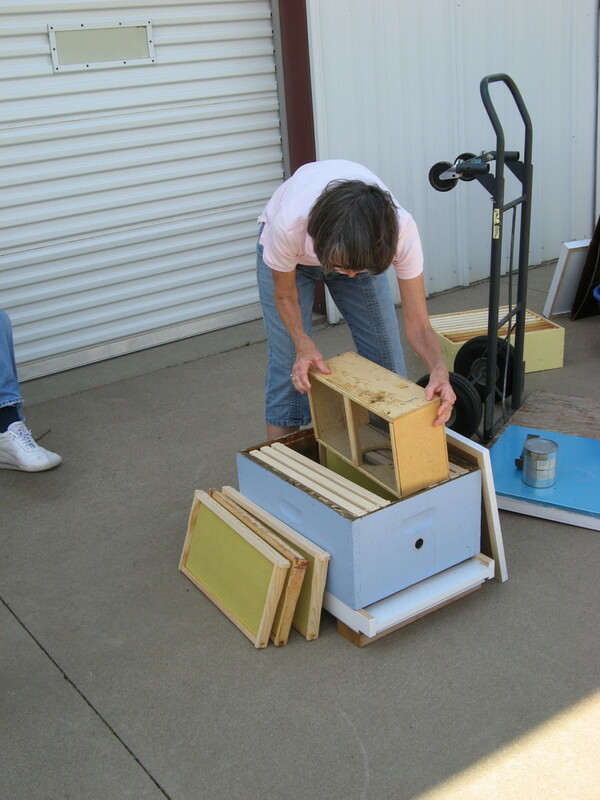 Deb showing us the separate box the queen bee comes in. 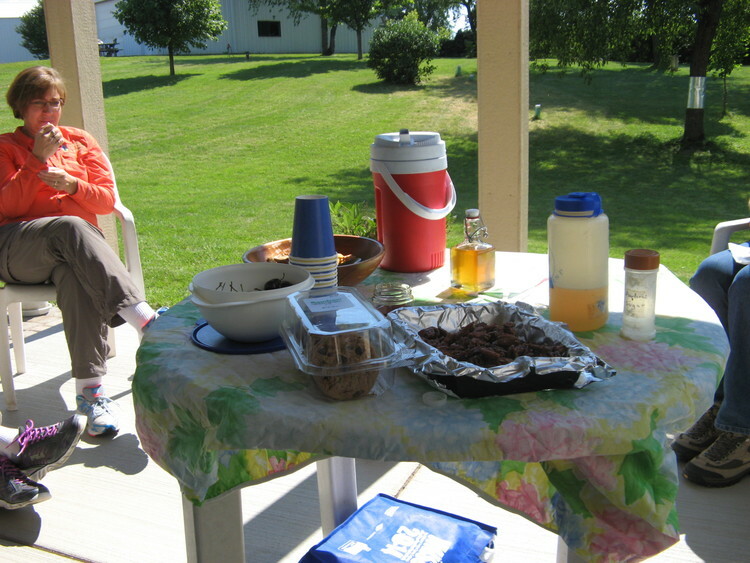 A short honey treat break. 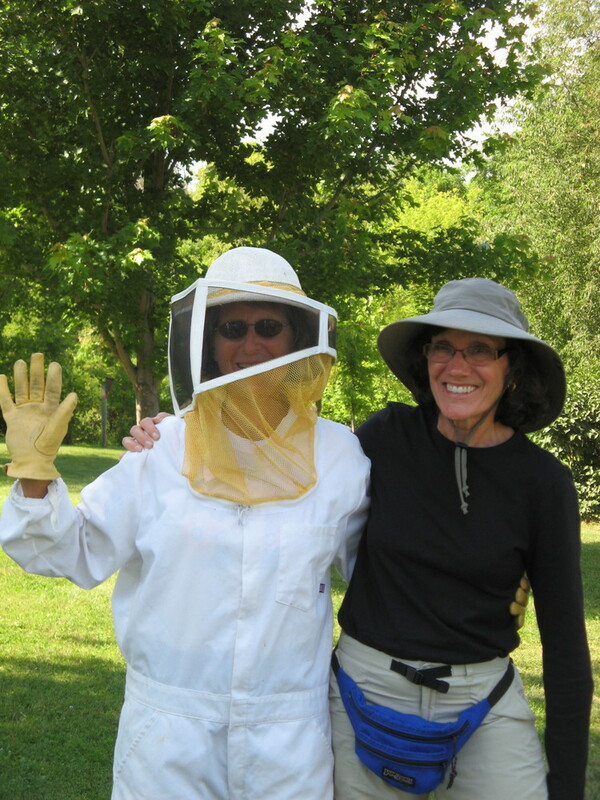 Getting ready to meet the honey bees! 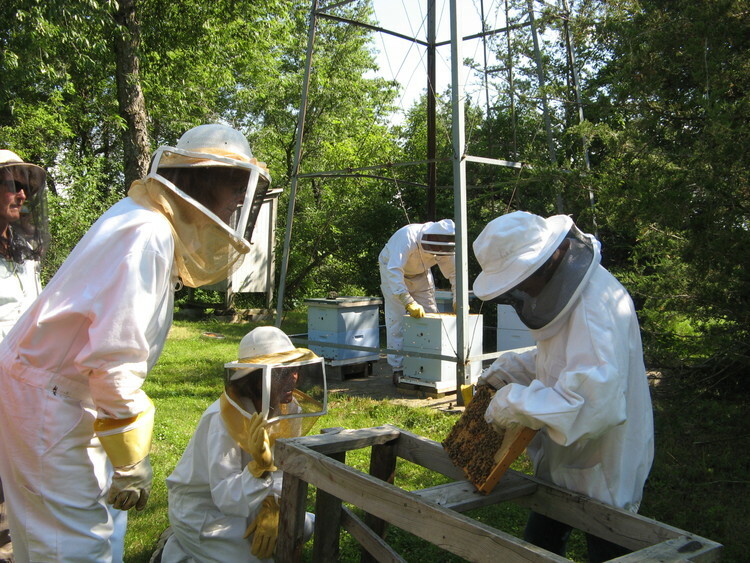 We're ready to meet the honey bees! From the bees to the trees! Deb inspecting her prairie restoration.